The Mercedes-Benz SUV lineup features five refined, yet powerful, models to choose from that each offers their own take on legendary German engineering. If you have been looking for a luxury vehicle that brings some polish to the rugged and capable SUV category, you will find it within the Mercedes-Benz lineup. The introductory model to the SUV lineup, the GLA still offers plenty of athletic ability to match its luxury design. Enjoy added towing abilities, upgraded transmission, and more in the Mercedes-Benz GLC. A more capable suspension is introduced for outdoor adventures in Frisco. The GLE also reports cargo space and towing power that have received a definite boost. Max out your towing and cargo abilities with GLS trim and never lack what you need in your Dallas travels. The G-Class is highest level model in the Mercedes-Benz SUV lineup and showcases a new engine with a massive payoff. Beyond the beautiful exterior, rich materials, and luxe features, the Mercedes-Benz SUV lineup is ready to perform. 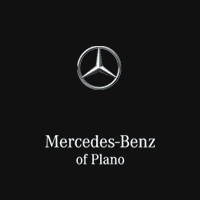 Explore each model in depth, including the new 2019 GLE and GLC, and test drive your favorite, at Mercedes-Benz of Plano near Dallas today.